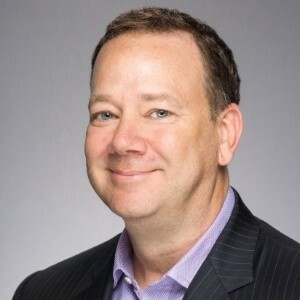 Last year was a year of significant change for Citrix and according to the company’s channel chief Craig Stillwell, the successful shift to a subscription cloud-based business model is good news for partners heading into 2019. Citrix channel chief Craig Stillwell. Citrix kicked off 2018 by scrapping some of its long-standing brands such as Netscaler and Xen in favour of a “Citrix+function” product naming scheme. CEO David Henshall, who took control of the ship July 2017, after predecessor Kirill Tatarinov spent just 18 months in the job, promised to deliver a subscription cloud-based business model and advance his organization’s fortunes. At the centre of it all is Citrix Workspace, powered by Citrix cloud. This restructuring, of course, required a completely redesigned partner program that consolidated five separate programs into one. It meant when partners registered a deal, the process of finding out what incentives they qualified for were automated. The more than 5,000 partners and employees at this week’s Citrix Summit in Orlando are going to hear about this successful transition and the opportunities that lie ahead, said Stillwell. The Citrix Service Provider program, aimed at partners that are providing a service using Citrix technology, is also going to get lot of attention this week, he added. The program helped Citrix cross 1.7 million active monthly users in 2018, a 30 per cent year-over-year growth. “We’re going to push very hard into the SMB market,” said Stillwell. When asked about the vacant leadership position for Citrix Canada, Stillwell provided a brief response. “Obviously we’ll have someone leading the Canadian business. I just don’t think we’re ready to say anything yet,” he said. CDN confirmed the retirement of Micheal Murphy last May, who was at the helm of Citrix Canada for six years. Stillwell said approximately 96 per cent of all Citrix sales go through the Citrix channel, and that number is likely a little higher for the Canadian business. According to Citrix’s partner portal, there are 255 partners in Canada, ranging from solution advisors, service providers and system integrators. The Citrix Summit, which will include for the first time a marketing track, begins today and wraps up Wednesday.